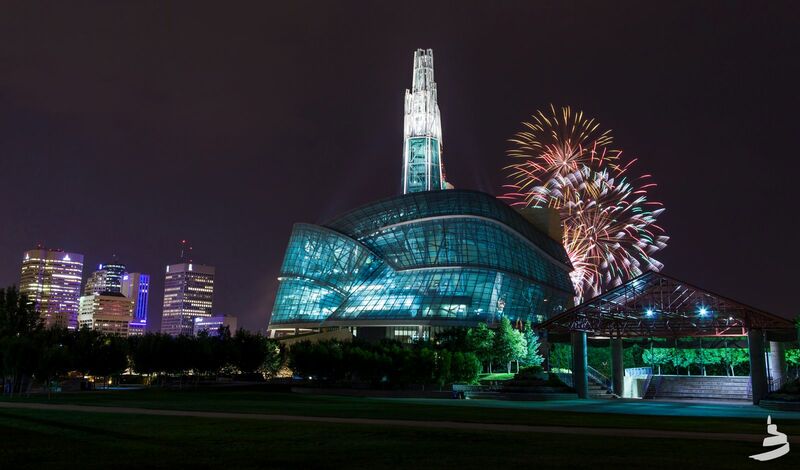 The Canadian Museum for Human Rights will open today in Winnipeg after a decade of planning and construction. The building is designed to present a „tower of hope“, spiralling towards the sky. And in a nation known for its serious commitment to human rights, it seems appropriate. Of course, the human rights world is full of one-upmanship, and the construction of the museum has been called out for many reasons – including its lack of relevance to one of Canada’s poorest neighbourhoods, located just a few kilometres away. The project cost $300 million CAD. Of course critics have questioned how the creation of such an expensive building is a better investment than funding humanitarian aid work. And yet the museum will open today, offering an exploration of how human rights shape our world. The museum features topics relevant to Canada including indigenous rights, but also global events like the Holocaust, which is housed in its own gallery. The importance of educating future generations about human rights must not be underestimated – it will be interesting to see the impact of this museum on its community and those who pay a visit.